Download joyful vector art layout for free. Versatile vector design with colorful decorations. 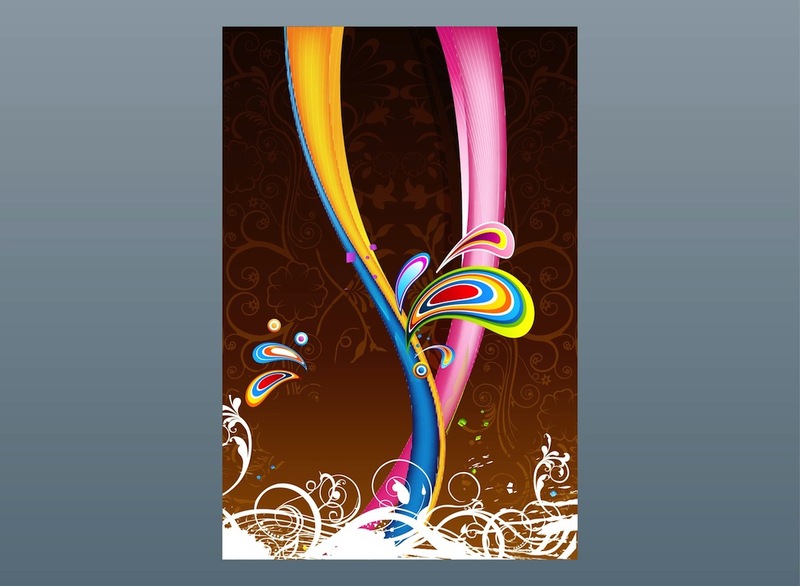 Abstract graphics of curved lines, teardrop shapes, flowers and abstract swirls. Many different colors and compositions. Free vector graphics to create event invitations, party posters, disco flyers, greeting cards and wallpapers designs. Tags: Abstract, Background, Colorful, Floral, Flyer, Lines, Poster, Scrolls, Waves.